We're delighted to announce we have just released an iOS app - designed to make taking chip and pin and contactless cards as cheap an easy as humanly possible. We know that being able to take card payments is a real boost to event organisers, especially given that card payments now account for more than half of transactions and customers appreciate the convenience. Contactless payments also take an average of just 12.5 seconds compared to 33.7 seconds for cash and that speed can really help clear a box office queue five minutes before the event is due to start. When we began to research the best way to do this, we found that many providers try to lock you into expensive, long lasting contracts, with some costing as much as £900 over 18 months - before you've even taken a payment. For event organisers only running a few events a month or a small theatre constantly looking to find efficiencies - this is simply unaffordable. That's why we created our app. It is fully integrated with iZettle, whose reader can be purchased as a one off payment of £59 and it can take chip and pin, contactless and Apple payments. Our charges are exactly the same and you won't be charged a penny more, from anyone, it really is just a case of buying an iZettle reader. The reader isn't locked to our app so you can also use the same reader to take payments at the bar or to sell additional merchandise separately. 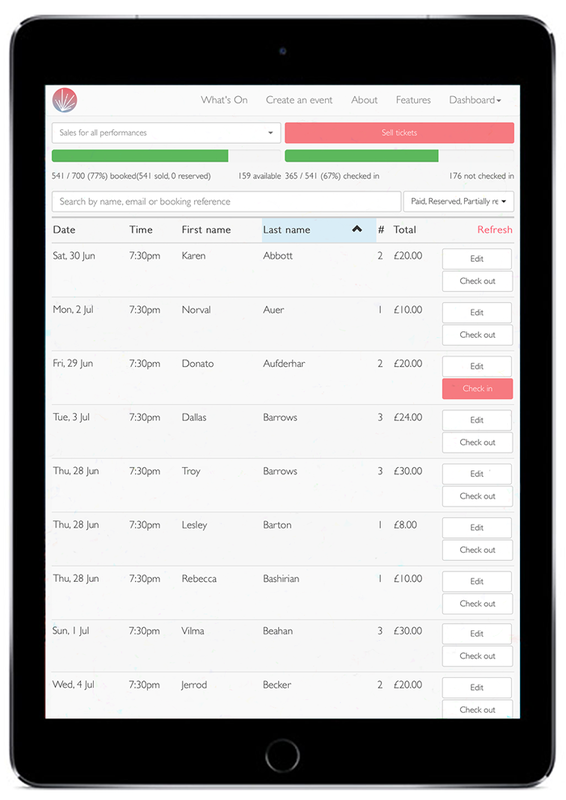 The app is fully integrated with the website, simply log in as you would with our website and you can run your box office and start taking card payments. It runs on all modern iPhones and iPads and as the iZettle also has a battery, you can take payments absolutely anywhere. To download the app, simply search for Tickets Ignite Box Office in the App Store. To use it with an iZettle reader, simply pop us an email at [email protected] or call 020 3633 5606 and we'll get everything set up for you.